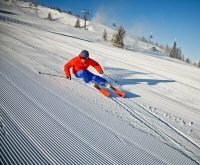 With four modern conveyor belts, the Zwisiland is the ideal ski area for children and beginners to take their first turns, whether with skis or on the snowboard, delete in the snow. 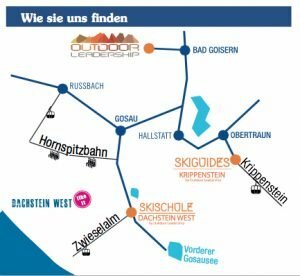 These prerequisites, the competent support of our trained ski instructors and the guarantee of snow through artificial snowmaking equipment provide the perfect stage for undisturbed skiing pleasure in the heart of the Salzkammergut. 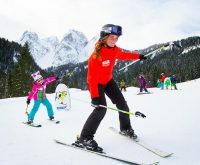 A direct bus connection and the direct connection to the gondola lift make this ski area the ideal place for families, an uncomplicated and child friendly starting point for your adventures of all kinds. 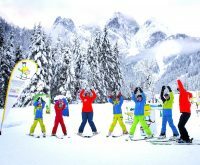 But not only the future ski stars at the Zwieselalm are well catered for – a large selection as well as wide variety of slopes, from bumpy steep to mellow groomed, slopes for beginners to advanced can be found here to provide the ideal opportunity to choose the right slopes to improve your skiing skills. 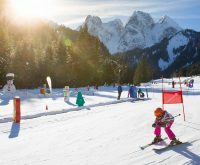 Our highly trained ski instructors will gladly assist you in finding the perfect course for you and show you the most beautiful slopes of the far-reaching ski area! 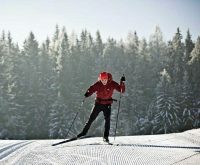 We offer not only children’s courses for all ages, but also a wide range of adventure activities, such as alternative activities dealing with snow. 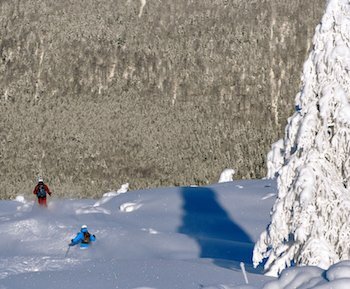 “Very professional run ski-school with very attractive offers and great options & packages! 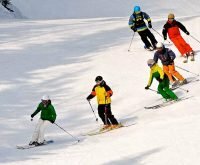 Very professional school – anytime again! A great holiday experience. I immediately booked again for the next year. EASY TO REQUEST OR BOOK!